Rangers missed a brilliant chance to strengthen their position in Europa League Group G after a sloppy 4-3 defeat to Spartak Moscow on Thursday. An early Roman Eremenko own goal was followed by strikes from Daniel Candeias and Glenn Middleton as Rangers took the lead three times in a remarkable first half. Spartak replied through Lorenzo Melgarejo in the 22nd minute and then an own goal from Connor Goldson to trail 3-2 at half-time. But two goals in 66 seconds from Luiz Adriano and Sofiane Hanni in the second half put Spartak ahead and they held on to get their first win in the group and leave Rangers' qualification hopes in the balance. Defeat ends Rangers' 11-match unbeaten run in Europe this season and means they slip down to third in Group G following a 0-0 draw between Rapid Vienna and Villarreal in the other group game. 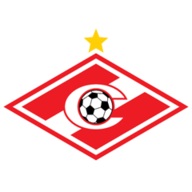 The tone for a frantic first half in Moscow was set after five minutes as Eremenko stooped and headed a corner into his own net from 12 yards out. Spartak responded in the 22nd minute when Melgarejo headed in at the back post, but Rangers quickly hit back to regain the lead. Jon Flanagan picked out Candeias with a pass over the top and he fired in a low shot from the edge of the box. More goals looked likely as both defences struggled, and it was Spartak who struck next as Goldson deflected a cross past Allan McGregor in the 35th minute. However, Rangers took the lead for the third time in the 41st minute as some more slack defending from Spartak saw 18-year-old Middleton finish at the back post after Salvatore Bocchetti poked a pass towards his own goal. Rangers should have gone 4-2 ahead but Alfredo Morelos saw a goal wrongly ruled out for offside before half-time. McGregor saved brilliantly from Adriano at the start of the second half but could do little to prevent Spartak from equalising in the 58th minute. The Rangers goalkeeper denied Hanni at the near post but the rebound looped up for Adriano to head home. With Ryan Kent and Kyle Lafferty both out injured, Rangers made five changes from the team which beat St Mirren at the weekend. Nikola Katic, Jon Flanagan, Lassana Coulibaly, Daniel Candeias and Glenn Middleton replaced Joe Worrall, Andy Halliday, Ryan Jack, Eros Grezda and Kent. Spartak took the lead just over a minute later as Hanni's shot from distance deflected off Goldson and beat McGregor. The hosts hit the post through Bocchetti, who saw his follow-up shot superbly saved by McGregor, and Rangers' only chance to level came in injury-time as Nikola Katic headed against the post from a corner. Spartak Moscow vs Rangers became the highest scoring single match in the Europa League so far this season (7 goals). 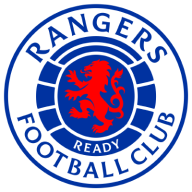 With Spartak's Roman Eremenko and Rangers' Connor Goldson scoring own goals, this was the first Europa League match to see both sides score an own goal since October 2011 (FK Austria Wien vs AZ). Glenn Middleton (18y 312d) became the youngest player to score in a major European competition for Rangers since Alexander O'Hara in October 1973 in the Cup Winners' Cup (16y 347d). Daniel Candeias has either scored (1) or assisted (2) a goal in three of Rangers' four Europa League group stage games this season - the other finished 0-0. Were he not on the losing side then McGregor might well have taken the man-of-the-match honours as he made several brilliant saves to prevent Spartak scoring even more goals. However, Ivelin Popov looked a threat throughout for Spartak and was perhaps unfortunate not to win a penalty in the second half when Nikola Katic stood on his foot in the box. Rangers host Motherwell on Sunday in the Scottish Premiership. After the international break they are also at home against Livingston on Saturday, November 24 and Villarreal in the Europa League on Thursday, November 29.